When you visit Montreal, you could be easily forgiven for thinking you were in Paris or Lyon. The city along the St. Lawrence River, is the largest metropolis in Quebec and features a myriad of fun and interesting attractions, such as the Parc Jean-Drapeau, once the site of the Expo '67 World's Fair and now home to the Montreal Casino. There are so many places to visit in Montreal; you won't know where to start. There are so many things to see in Montreal. It is somewhat unique among North American cities in that it combines the historic and the modern all in the same area. The city is really just a collection of small neighborhoods and, although it has a population of more than 1.5 million residents, Montreal still feels like a small town. From exploring the colorful and quirky Le Plateau neighborhood to visiting St. Joseph's Oratory, the largest church in Canada, you won't run out of things to do in Montreal. As fascinating and intriguing as the City of Montreal can be, why not be adventurous and look into day trips from Montreal. 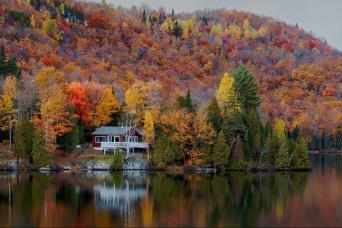 The beautiful Laurentian Mountains and the ski resorts located there are just a short drive away. 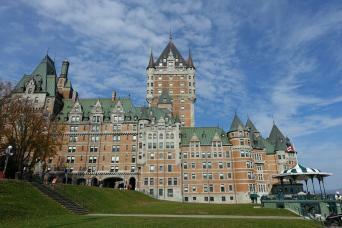 Plus, the beautiful French-Canadian City of Quebec is just a three-hour drive from Montreal. If you're looking for something a little different this year for your family vacation, you can't go wrong by choosing Montreal. The city mixes French flair with uniquely North American wide-open spaces. It's a winning combination. 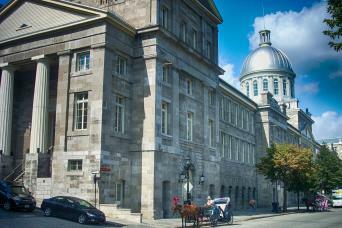 Gray Line Montreal offers a variety of Montreal city tours. 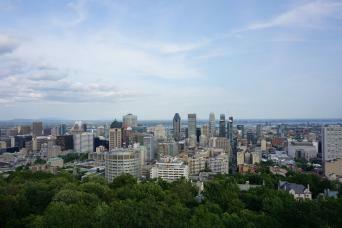 There are basic tours that give an overview of the attractions in Montreal. 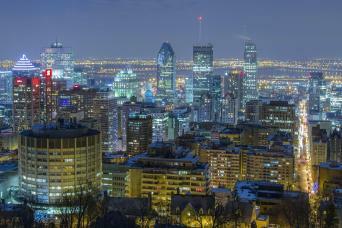 There are Montreal walking tours and Montreal-by-night tours. There are even Montreal to Quebec tours. 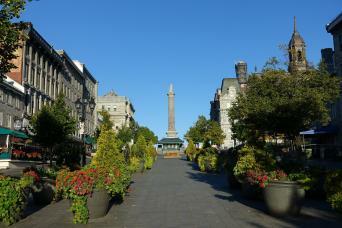 One of the most enjoyable and versatile ways to explore is with a Hop-On Hop-Off Montreal bus tour. This Montreal bus tour allows you the flexibility to stop at just those attractions you want to visit and bypass the ones you don't. 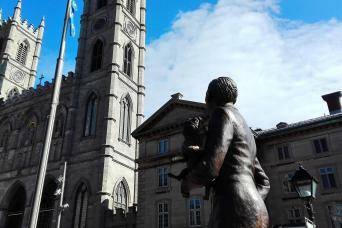 The Montreal hop on hop off bus tour features dozens of attractions, including Saint Laurent Boulevard, Old Montreal and St. Andrew's Cathedral. You can spend as little--or as much--time as you'd like at each stop. 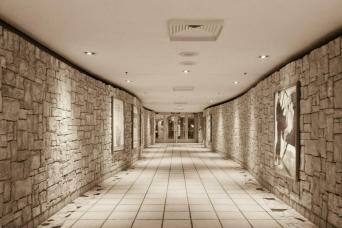 Gray Line Montreal is one of the most reliable and well-regarded sightseeing companies in the Ontario and Quebec area. Our large selection of Montreal sightseeing tours are all escorted by a professional, well-trained guides to make sure that you get the most out of your trip to the city.